Starboy Wizkid is not taking a break as he continues to work with other international stars. The singer announced via his social media that he will be working on a new project with late reggae legend, Bob Marley’s son, Damian. 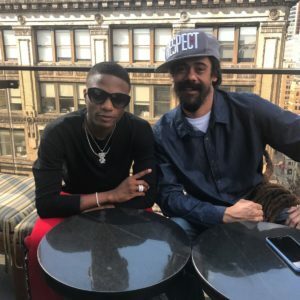 Wizkid who recently released his Sounds From The Other Side (SFTOS) mixtape shared the news while stating how excited he is about working with Damian. 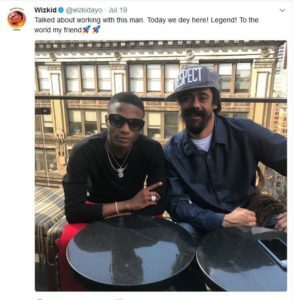 On many occasions, Wizkid gave credit to Bob Marley for the legend’s influence on his music. Recall that the singer also did a re-fix of Bob Marley’s ‘Ride Natty Ride’ on a track titled ‘Naughty Ride’ which featured American music trio Major Lazer in the mixtape.